The number of websites in dire need of a redesign makes up a substantial portion of those out there. These websites more than likely comprise a majority. There’s plenty of work to be done, but most of those websites will probably remain “as is”. This is due to the fact that rebranding a website can be a slow, laborious process. It doesn’t have to be like that, however. Pre-built websites open up a host of opportunities. They can help to easily turn an outdated website into one that features a modern and exciting look and feel. Be Theme has over 350 of these pre-built websites to get you on your way. Let’s take a close look at a few examples of how you can do your clients or yourself a huge favor in just a few short hours. Here are 7 ways to give an outdated website a new, fresh look with more than a little help. Let Be Theme’s pre-built websites aid you. A dull website invites visitors to look elsewhere. A dynamic one invites visitors to stick around long enough to see what is coming next. A dynamic home page is the secret. It’s a guaranteed way to lure a visitor to dig deeper to see what your website offers. Just be sure to place your dynamic images, animations, or videos above the fold. 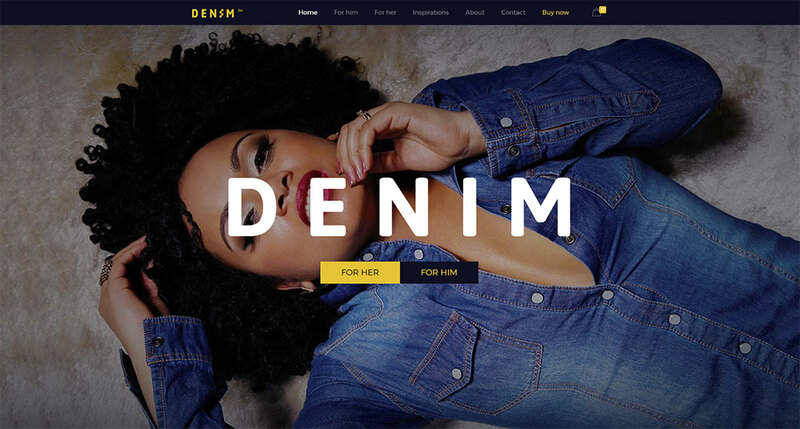 Take a look how it’s done in these pre-built websites. If a video is your dynamic introduction, make sure the Play button is front and center. You’re not done yet of course. You need to make the rest of the journey appealing too. Refreshing a website’s color scheme is generally easy to accomplish, yet it can carry a huge impact. You’ll not only make the website nicer looking but radically change its “feel” as well. The right color combination makes a website look and feel friendlier. This provides a big boost toward helping a business attain its online goals. A pre-built website makes a visual change quick and easy and can even take a website’s appearance to the next level. Be Theme’s collection covers more than 30 different industries. You can pick one that has a color scheme in line with the latest design trends. And, you’ll get plenty of white space in the bargain. Most outdated websites are in need of an overhaul of their content architectures. Getting the right combination of text and visual content on the home page is always a challenge. Even more so when hundreds of websites are vying for attention from the same audience. Pre-built websites take this into account. They combine content in surprising and easy to follow ways. Having well-organized content is one of the best ways to keep visitors engaged. If you have the visual, it doesn’t take any time to incorporate it into your homepage. A single, attention-grabbing visual is all that’s necessary to give the website a fresh look. BeDigital is a good example. This 3D still is simply impossible to ignore. You can also use imagery to integrate key information in surprising ways, like in BeEco. Or, you can change an overused image’s background to create a different twist. BeAirport does so in a rather cool way. It turns an ordinary airplane image into an eye-catching visual. It takes time and effort to build a customer-centric online shop. Even more so when hundreds of other eCommerce stores are selling the same products. There is one secret to success. Customers prefer stores that make their shopping experiences trouble-free and intuitive. When you build a store, each and every detail has to work to perfection. Another “secret” is that most of the hard work can be easily avoided. You can do so by using a pre-built website as your starting point. The eCommerce rules of the game are already embedded in these templates. It takes but a few hours to customize one to fit your needs or those of your clients, and those of the customers as well. Many creative people would rather spend time creating than showcasing their work online. Often, their portfolios offer little to encourage visitors to linger awhile. There’s no real excuse for taking the time to redesign a portfolio website with the help of a pre-built website. It is incredibly easy to do in hardly any time at all. With so many of these templates to choose from, it’s no trouble to create an online presence. or, how about 3D rendering. It’s not necessarily an easy task to redesign a crowded website. You have to figure out which content needs to be highlighted. You will have to see what needs to be kept in the background if not discarded. This is another example of how a BeTheme pre-built website can help. Every one of these 350+ templates is designed to allow key content to stand out. At the same time, they are nicely organizing the content as a whole. These three examples illustrate how a crowded website can be redesigned and reorganized. Extreme website makeovers can be difficult. But once the makeover is accomplished it can be extremely rewarding. 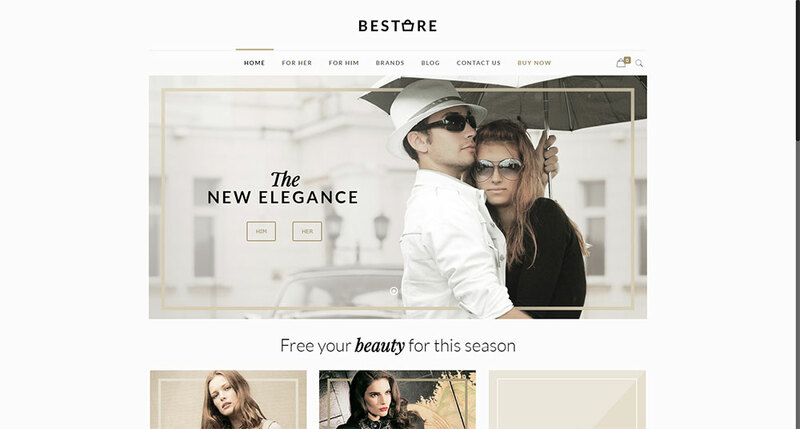 A BeTheme pre-built website eliminates the difficult part. You still get to enjoy the rewards. Imagine all the things you might be able to do to redesign your portfolio website! Start with one of the pre-built websites here. It’s easy to apply any one or any combination of the 7 quick and easy redesign approaches discussed here. They will help you to get stunning results while avoiding lots of hard work. You don’t have to start from scratch either. It’s simply a matter of customizing a pre-built website with your own content.